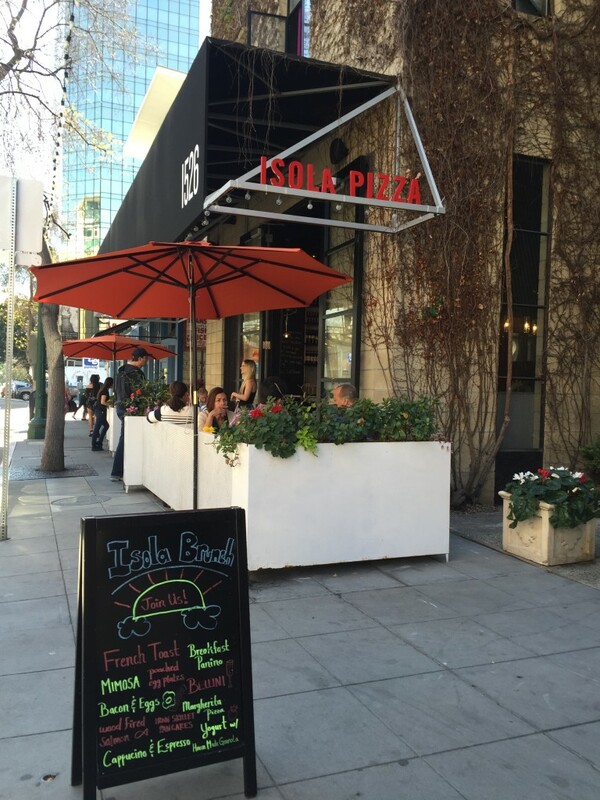 Isola Pizza San Diego, nestled into the comfy corridor of Little Italy in... you guessed it, San Diego... WHAT? Did you think I was going to say... New York? There's no such thing as Little Italy in NY anymore and on that note, New Yorkers should be ashamed of themselves to trade thin crust pizza for fried wontons and pork lo mein. But enough of my rant, let's get to the reasons why Isola Pizza is the Best Pizza in San Diego, CA. 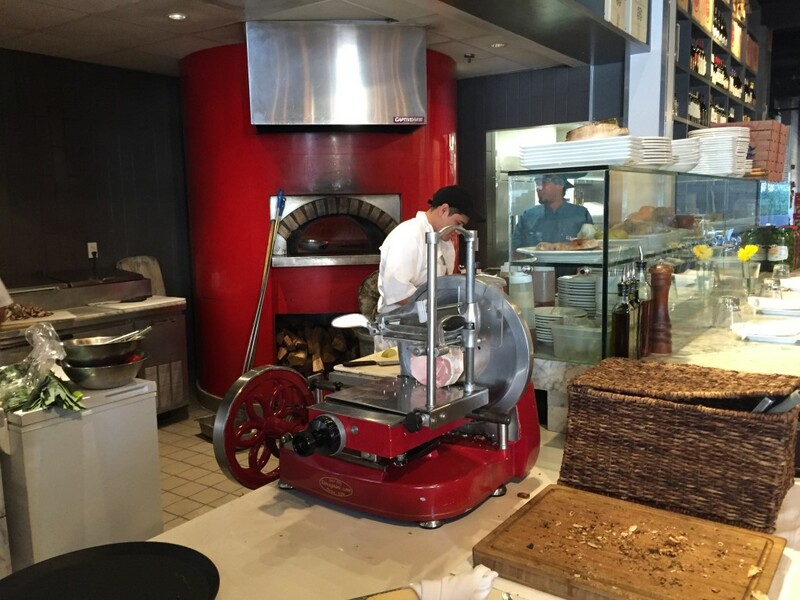 Isola, a fine traditional VPN certified abeetzeria in the Little Italy section of San Diego has a small seven choice selection of carefully crafted Naples style wood fired pizzas. 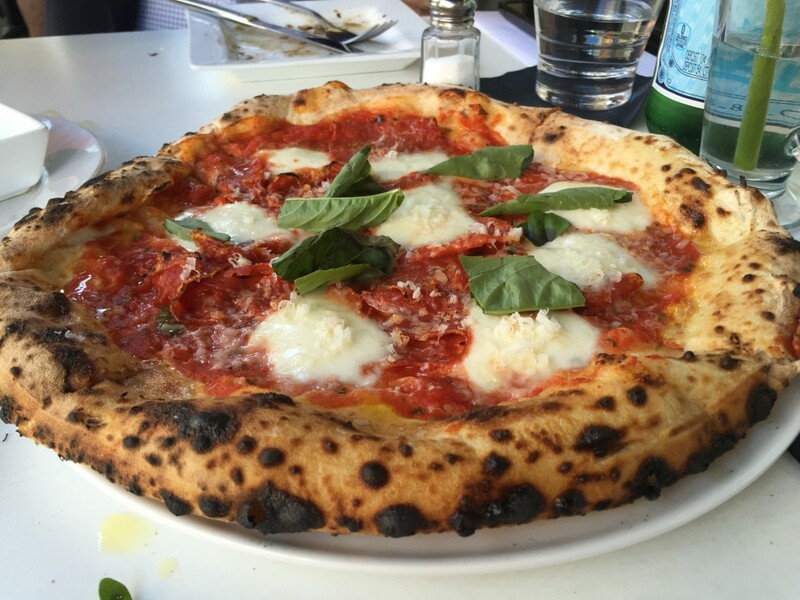 Today I chose the salamino piccante - spicy salami, mozzarella, tomato sauce and parmigiana. Sounds simple but is anything but. This pie is a beautifully crafted and flavorfully balanced arrangement of the above stated ingredients to create a complex explosion of satisfaction on your pizza palette. If you love a sweet San Marzano sauce, this place is for you. And, if you think you know VPN pizza, you don't know jack until you've stopped by Isola for a nice bottle of Pelligrino, an arugula salad and one of their incredible Napoli styled pies. Isola Pizza in San Diego is simply one of the best pizzas I've had in a long time and actually beats Pazza Pizza in Brickell, which is also very good, and oddly not in NY either. I would say that Isola drives it home with a solid 8 for the Mad Greek. Oh wait, Pizza Expert says he is the only one that can give a perfect rating, so I am sure he will edit this to a 7 out of 8. Either way, Isola Pizza was delicious. 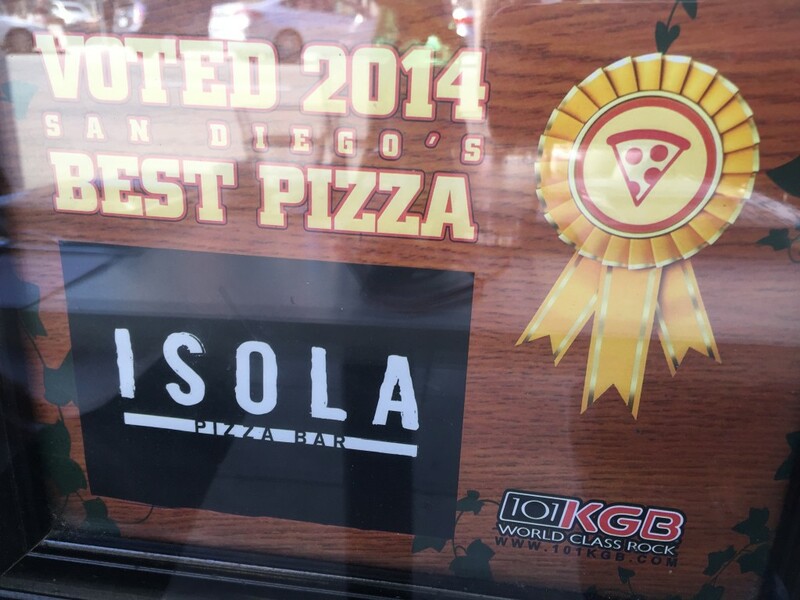 Isola Pizza in San Diego gets 7 out of 8 slices (You were right Mad Greek, I changed it).